Did Jesus Really Visit the Americas? I was surprised to learn that the Lord’s message for Zion’s Camp was also a message for me. My favorite institute class during college was on “The Family: A Proclamation to the World.” As our instructor helped us understand the principles contained in each line, I gained a strong testimony that marriage “is ordained of God” and that “the family is central to [His] plan.”1 My gratitude for inspired priesthood leadership increased as I began to think of the proclamation as one of the most powerful defenses in the war being waged against the family. That semester I enlisted myself in the conflict, inwardly resolving to promote and defend the family every opportunity I had. I finished my prayer and opened my scriptures to the Doctrine and Covenants, where I had been reading the previous night. I couldn’t concentrate on the section where I’d left off, so I began leafing through the pages, pausing to read text I’d highlighted or annotated before. Section 105 caught my eye, and I stopped. Two weeks earlier I had taught a Relief Society lesson on the spiritual heritage of members of the Church and had spent time reading and marking this section. As I read that night, however, the verses took on new meaning. The winter of 1833–34 was harsh for early Latter-day Saints. Driven from their homes in Jackson County, Missouri, they had taken up residence in abandoned cabins, crude huts, or tents in nearby Clay County. Though the Saints petitioned the government for assistance in regaining their lands, they were denied help. In response to this situation, Joseph Smith received instruction from the Lord to raise an army in Kirtland and march to the aid of the Saints in Missouri. This body came to be known as Zion’s Camp. “For behold, I do not require at their hands to fight the battles of Zion; for, as I said in a former commandment, even so will I fulfill﻿—I will fight your battles” (D&C 105:9–10, 12, 14). As I read, the message for me became strikingly clear: the purposes of the Lord in disbanding Zion’s Camp can be likened to His purposes in directing my life. He would have me experience “a little season” of waiting before I marry, that I may be prepared to do what is required of me and have experiences that promote learning and growth. Heavenly Father answered my prayer that night when, as a discouraged daughter, I sought direction and comfort. Through the scriptures, I learned that the Lord is not disregarding the miles I’ve traveled with His army but is purposefully building on those efforts so that I can be a stronger defender in His kingdom. As I strive to be faithful, humble, and patient, I will know more perfectly my duty and the things that He requires at my hands. 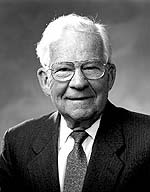 Elder Marvin J. Ashton (1915–94) of the Quorum of the Twelve Apostles, “Be a Quality Person,” Ensign, Feb. 1993, 66.